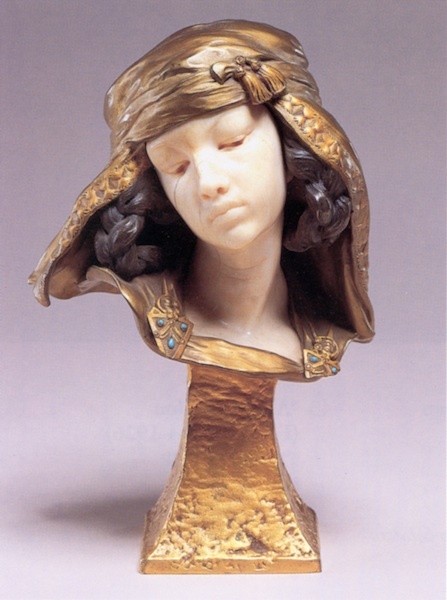 Louis-Ernest Barrias 1841-1905 was a French sculptor of the Beaux Arts school. He was born in Paris into a family of artists. His father was a porcelain-painter, and his older brother Felix-Joseph Barrias a well-known painter. Louis-Ernest also started out as a painter, studying under Leon Cogniet, but later took up sculpture with Pierre-Jules Cavelier as teacher. In 1858 he was admitted to the Ecole des Beaux-Arts in Paris, where his teacher was Francois Jouffroy. 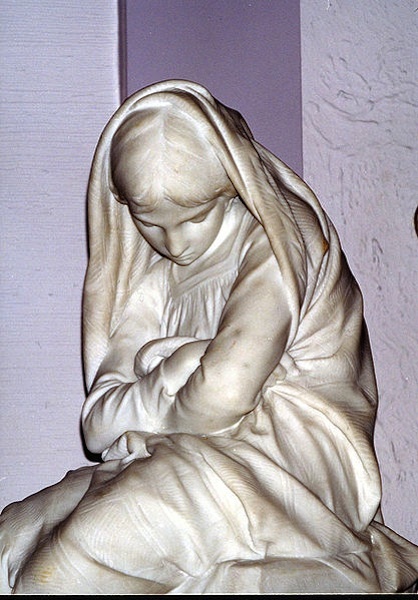 In 1865 Barrias won the Prix de Rome for study at the French Academy in Rome. 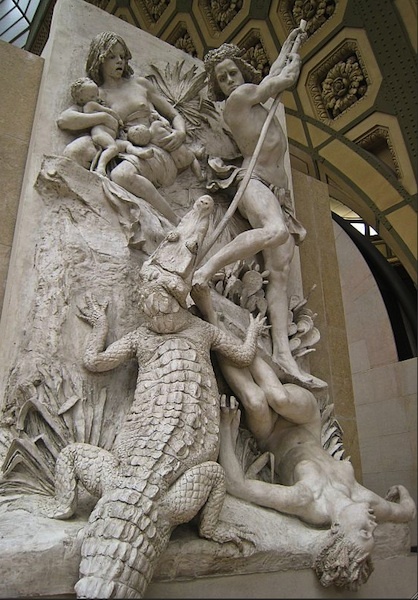 Barrias was involved in the decoration of the Paris Opera and the Hotel de la Paiva in the Champs-Elysees. 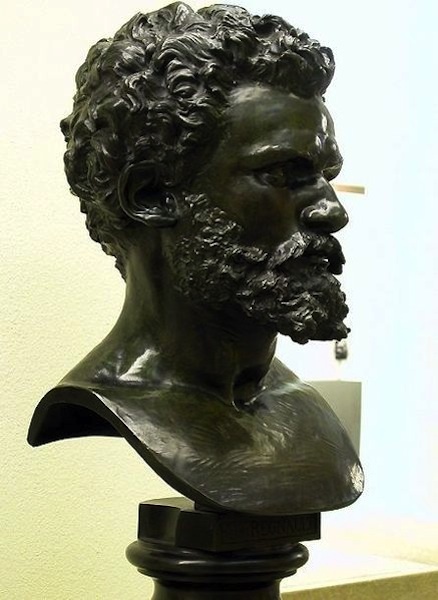 His work was mostly in marble, in a Romantic realist style indebted to Jean-Baptiste Carpeaux. 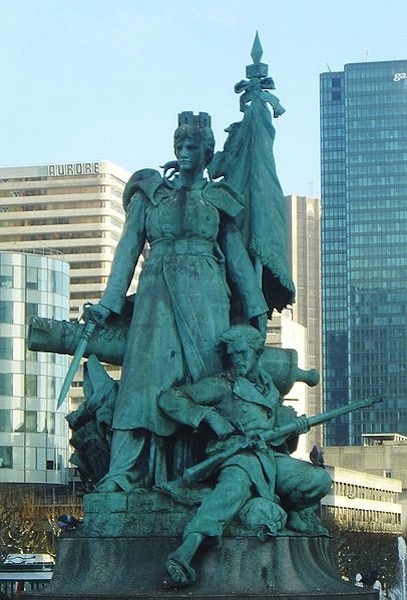 In 1878 he was made a knight of the Legion of Honour, an officer in 1881, and a commander in 1900. 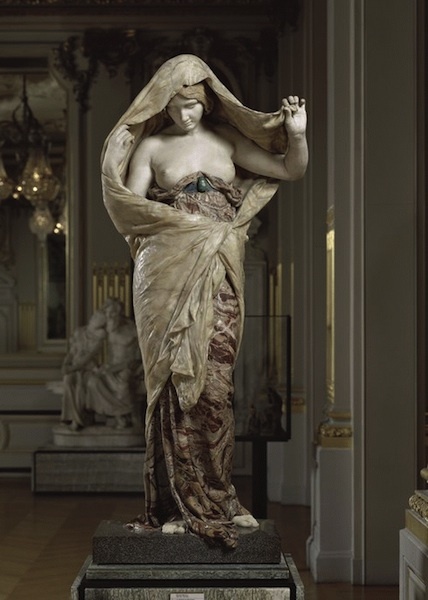 Barrias replaced Dumont at the Institut de France in 1884 then succeeded Cavelier as professor at the Ecole des Beaux Arts. In 1900-03 he served on the Council for the National Museums. Among his students were Josep Clara, Charles Despiau, Henri Bouchard, and Victor Segoffin.